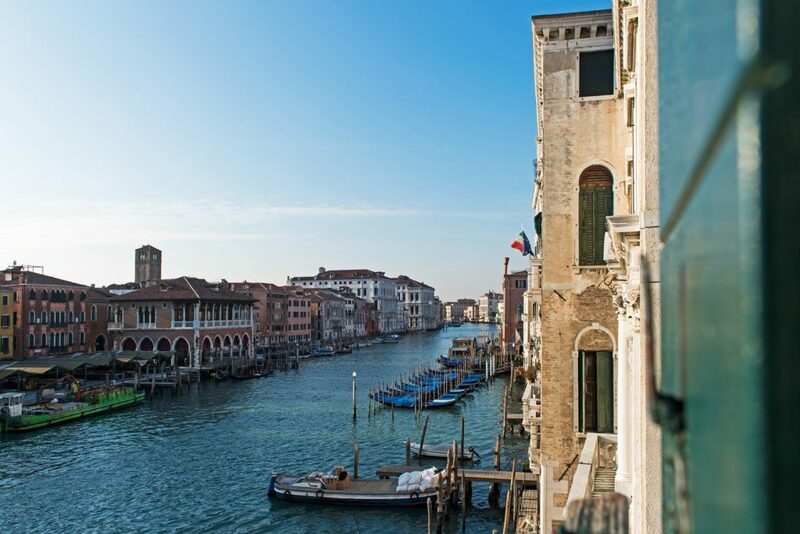 Staying in our locanda means having a chance to breathe the romantic and magical atmosphere of Venice. Our rooms are large and comfortable, furnished in a classic-contemporary style, with elegant fabrics and Murano glasses. 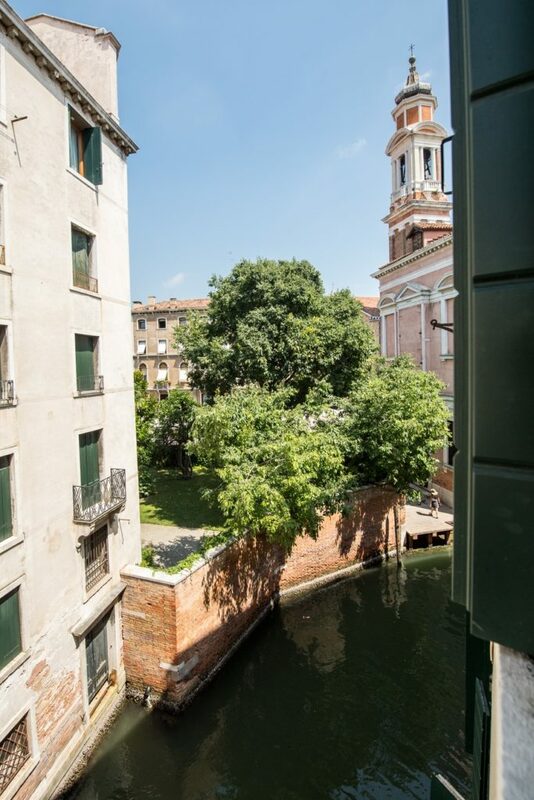 We have several typologies of rooms, from 2 to 5 people, some with views of the Grand Canal. 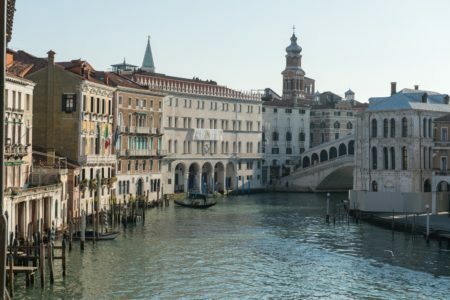 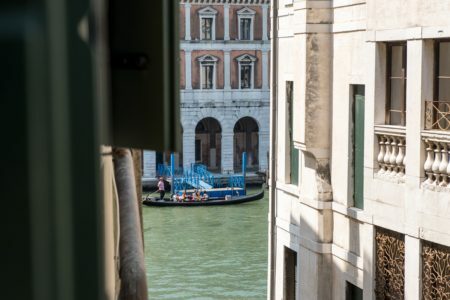 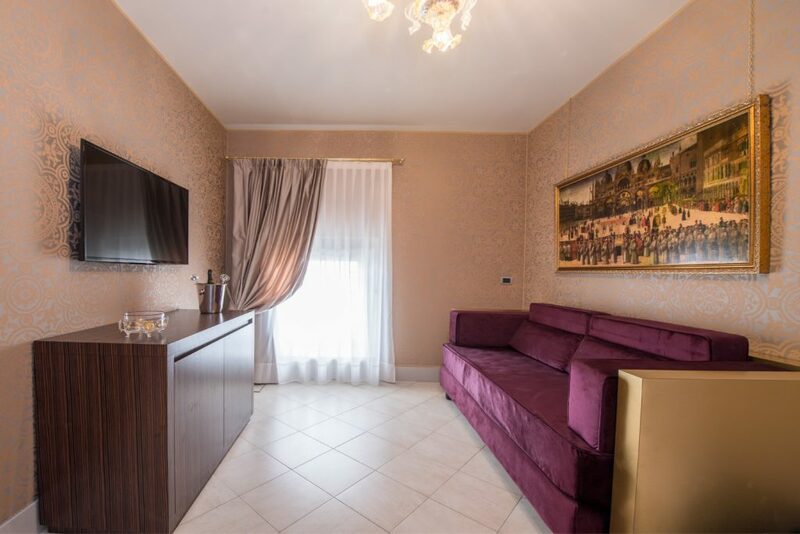 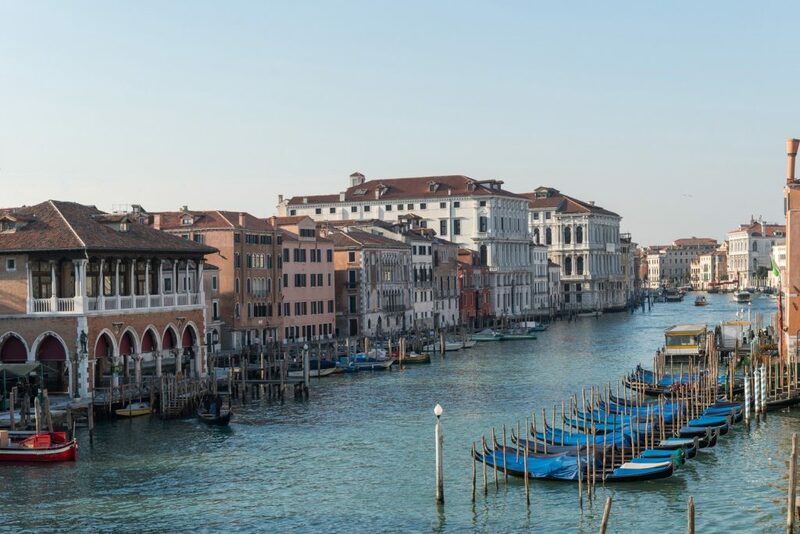 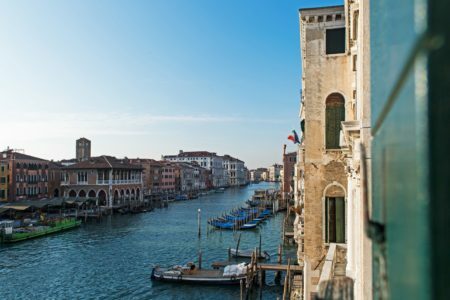 The Junior Suite with view on the Grand Canal (for 2, 3 or 4 people) offers a magnificent view from Rialto Bridge to St. Marcuola, one of the most beautiful part of the Grand Canal, thanks to the 3 balconies facing on the Grand Canal and rio of Ss. 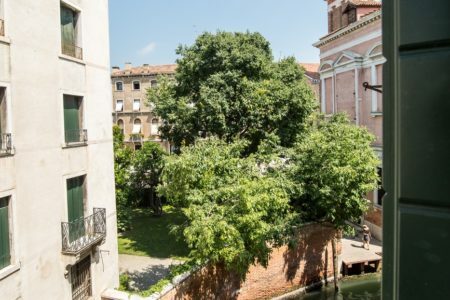 Apostoli. It’s one of our biggest rooms (30 square meters), decorated with a Murano-glass chandelier, precious velvets and elegant wall-fabric. 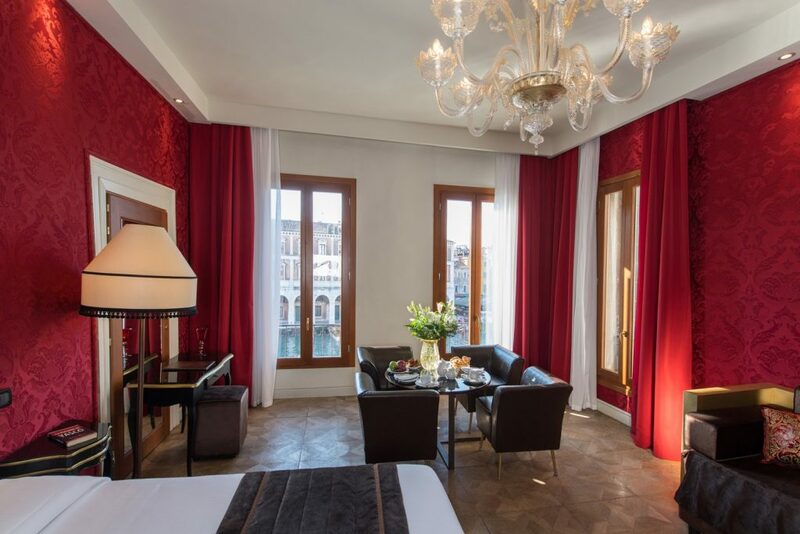 Our Junior Suite on the Grand Canal combine an unforgettable panorama with a classic-contemporary style, offering you an unique experience in Venice. 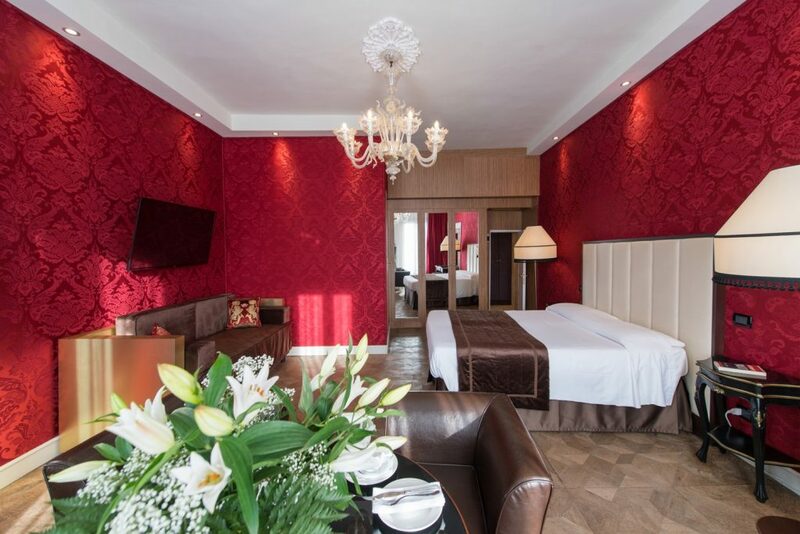 Equipment of Room: ensuite room, flat sat tv, hair dryer, minibar, complimentary toiletries phone, air conditioning and heating individually controlled, free wi-fi access, safety box, no smoking rooms. 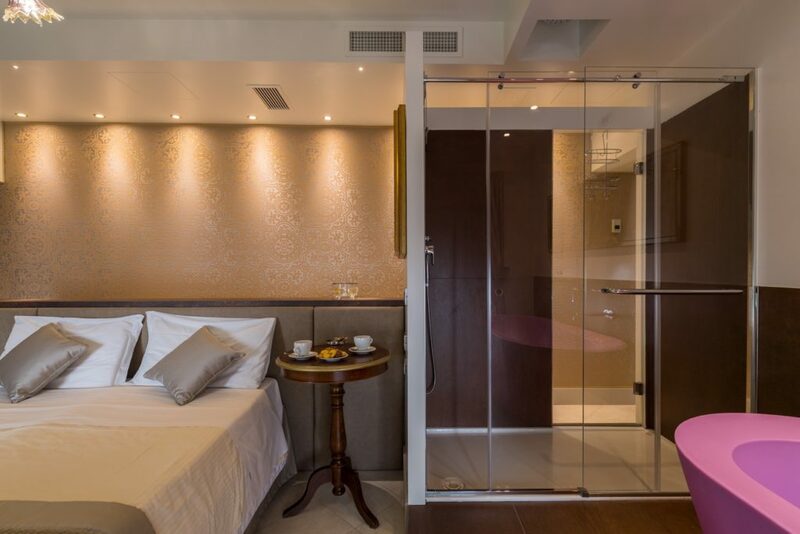 The Elegance Junior Suite (circa 40 square meters) overlooks a characteristic private venetian courtyard. 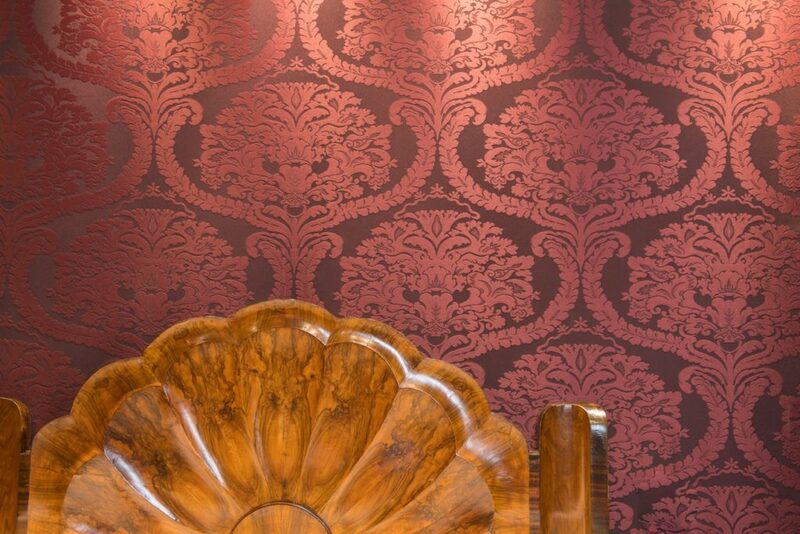 The furniture are classical and elegant but at the same time with a contemporary style. 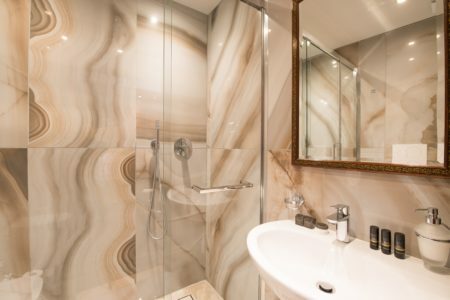 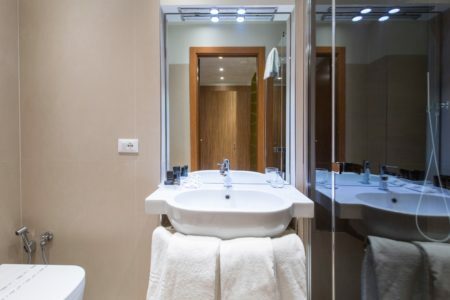 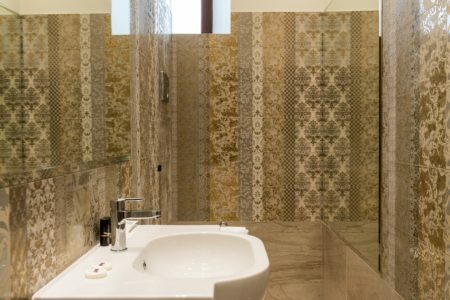 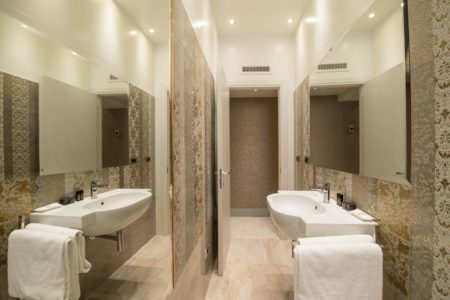 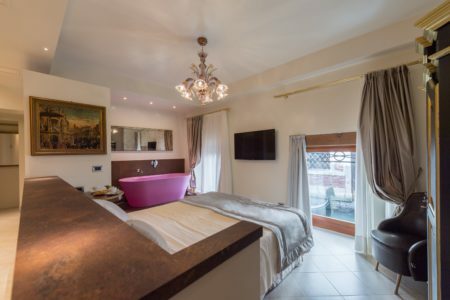 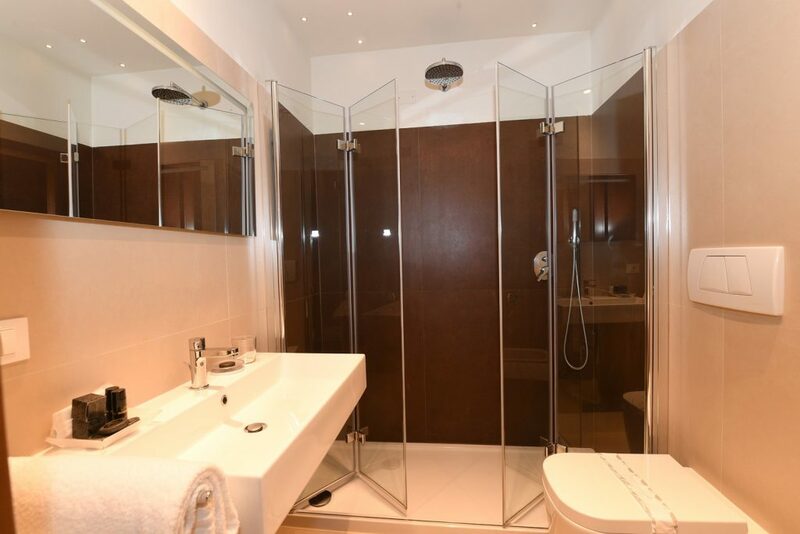 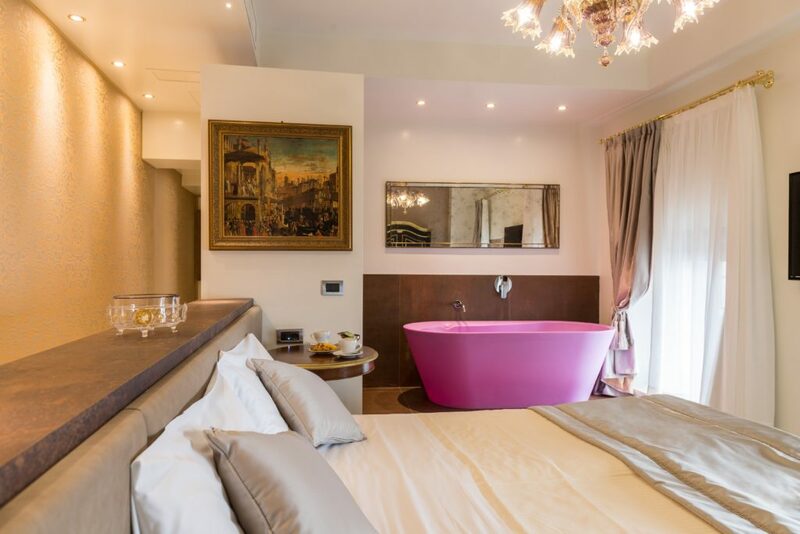 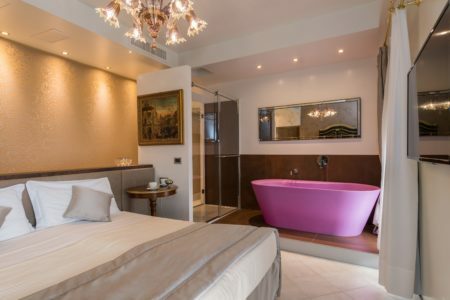 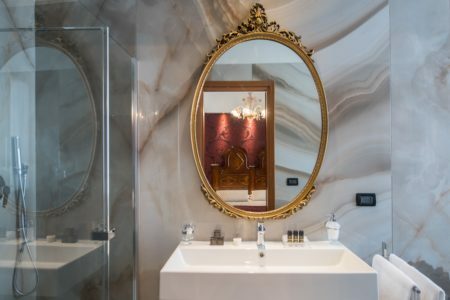 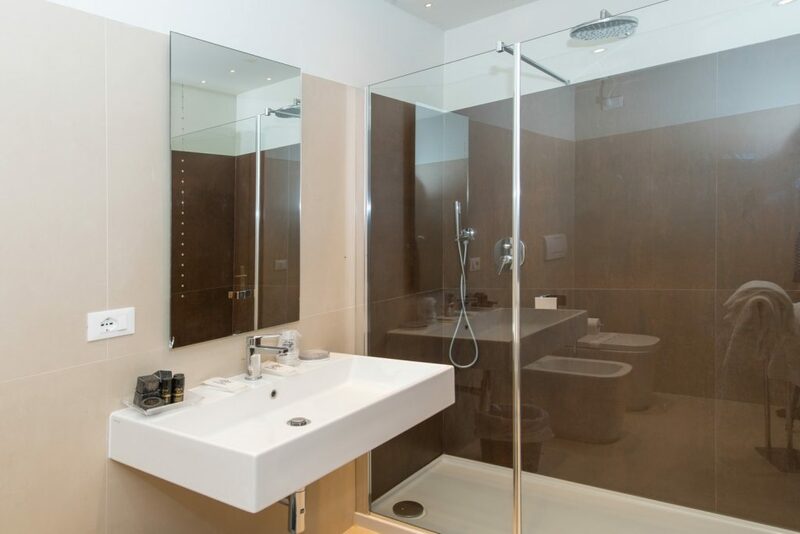 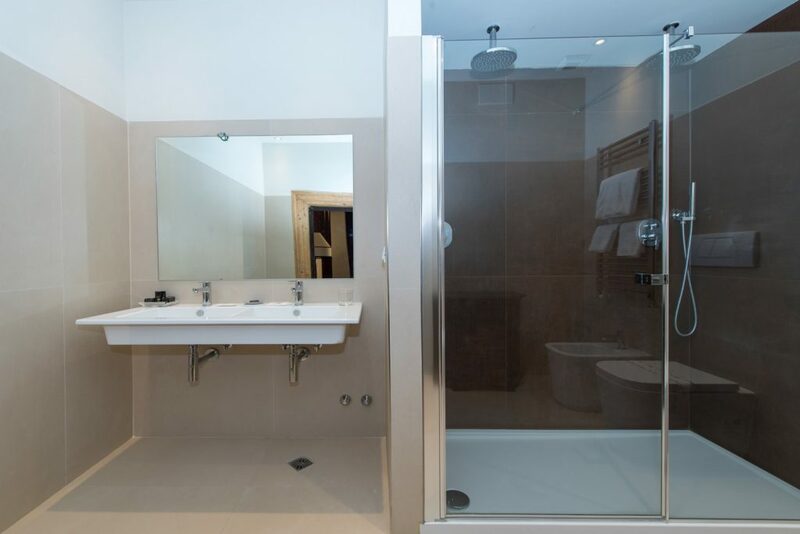 The large bathroom will give you the maximum comfort while the precious wall-fabric and Murano glasses will make you feel the charm of a typical venetian palace. 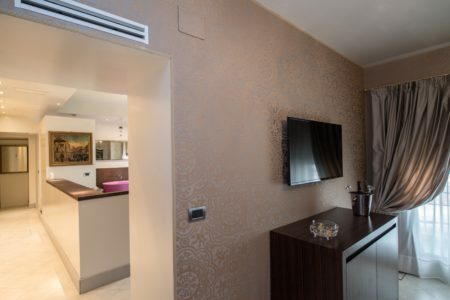 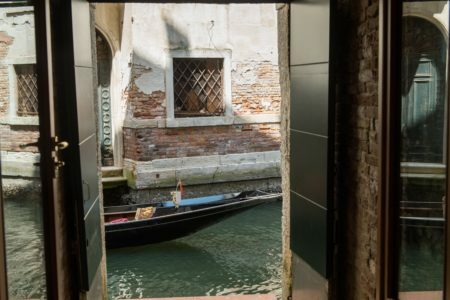 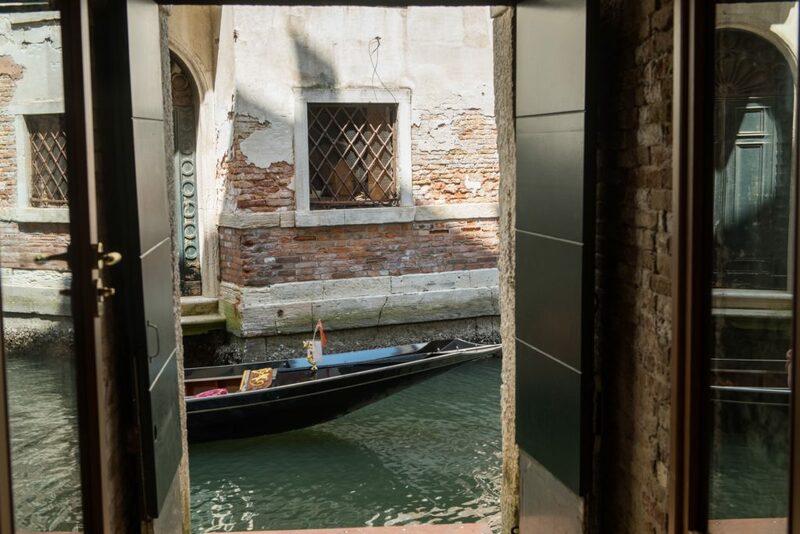 The Exclusive Junior Suite (circa 45 square meters) is composed of 2 different spaces and overlooks the Santi Apostoli Canal, where you can see the Gondolas just in front of you! Furnished by classic-contemporary forniture, Murano glass chandeliers and delicate velvet fabrics: this room it’s a mix of elegance and peculiarity that will make unforgettable your stay in Venice. 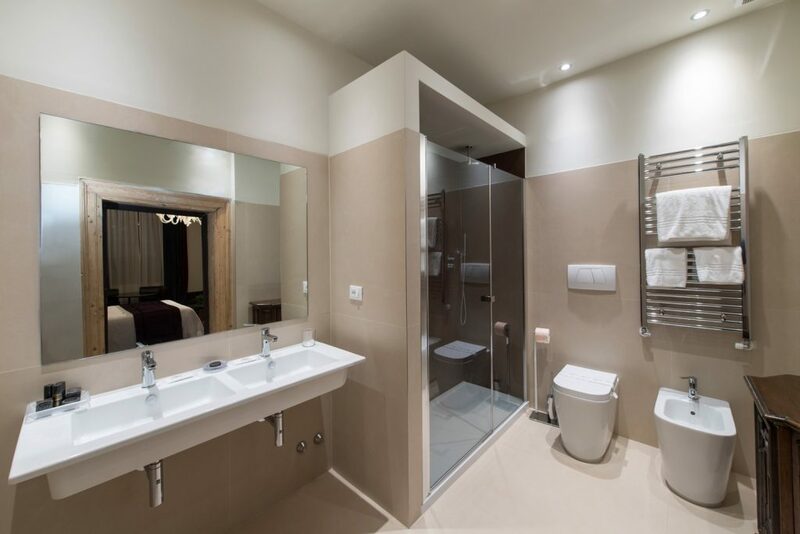 Equipment of Room: ensuite room, flat sat tv, hair dryer, minibar, complimentary toiletries, phone, air conditioning and heating individually controlled, free wi-fi access, safety box, no smoking rooms. 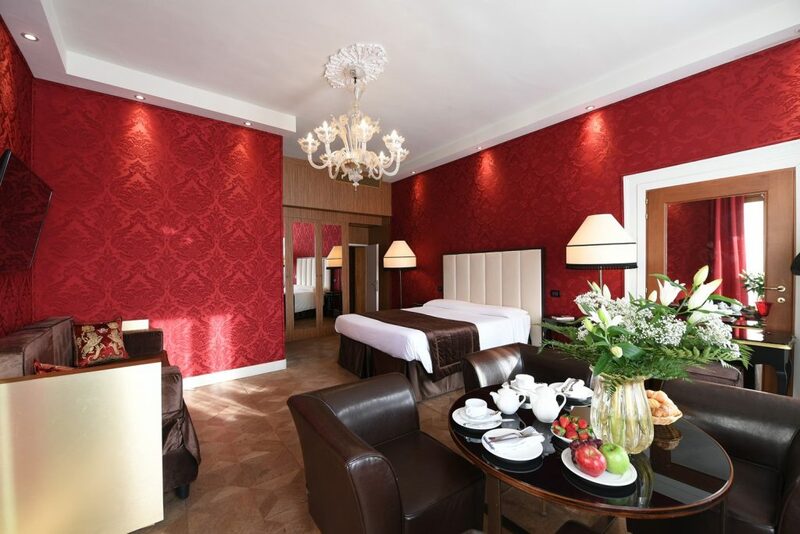 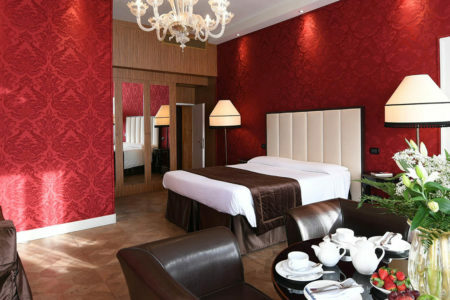 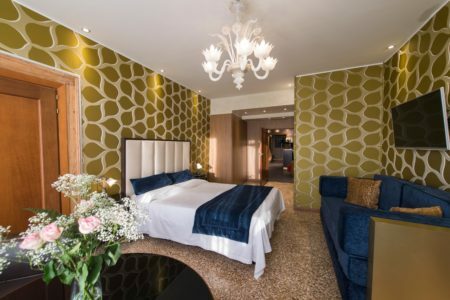 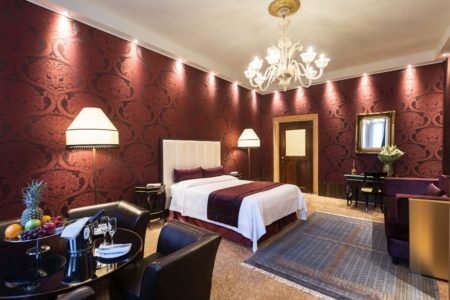 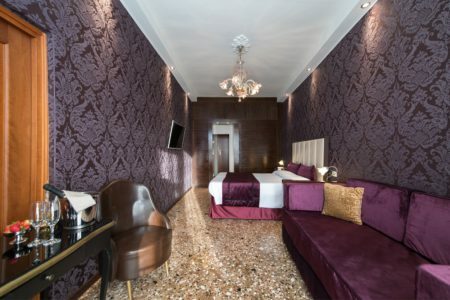 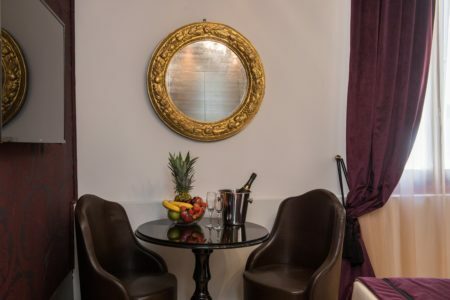 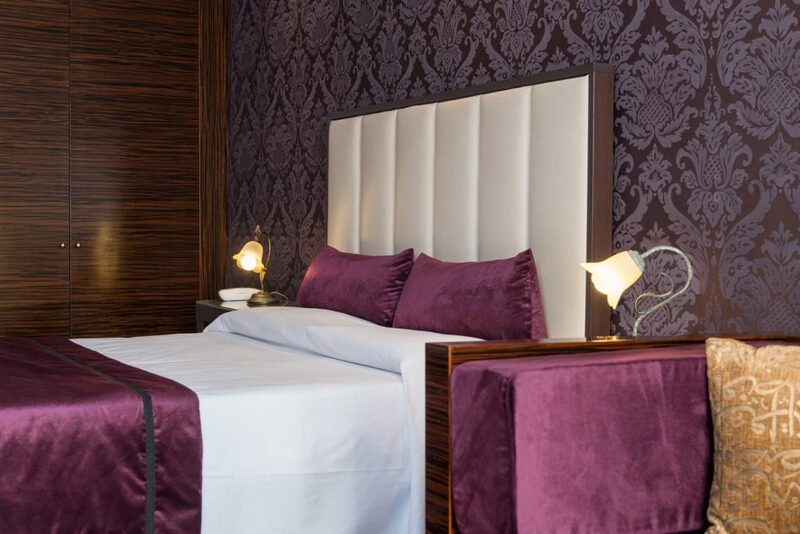 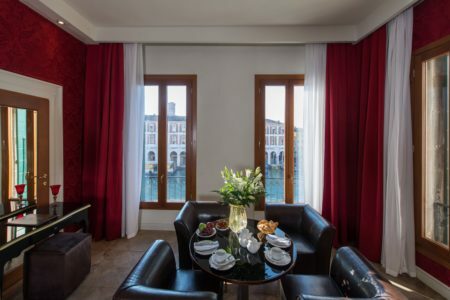 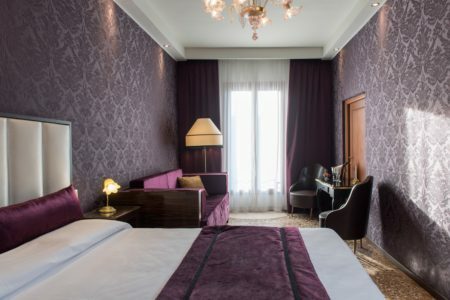 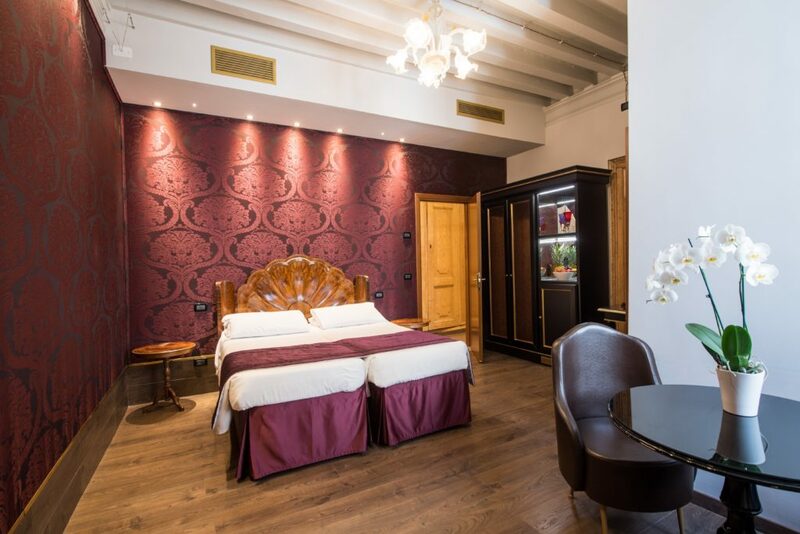 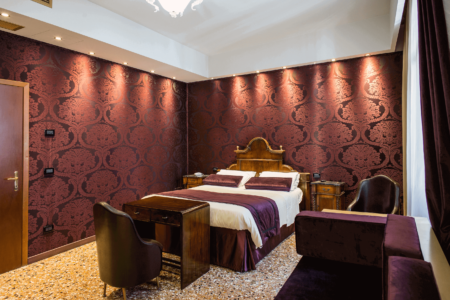 The Deluxe rooms (for 2 or 3 people) overlooks the Gran Canal and also the famous Rialto Bridge. The elegant decoration is composed by a classic-contemporary furniture, Murano glasses, delicate velvets and precious wall-fabrics. 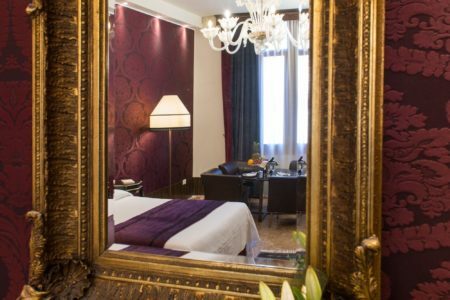 Our Deluxe rooms combines comfort and all the emotions that an historical venetian house that overlooks the Gran Canal can offer. 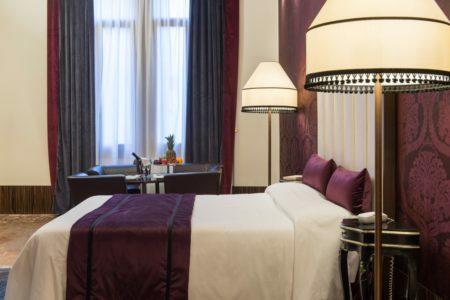 The Superior rooms (for 2, 3 or 4 people) overlooks the characteristic Santi Apostoli’s Rio. 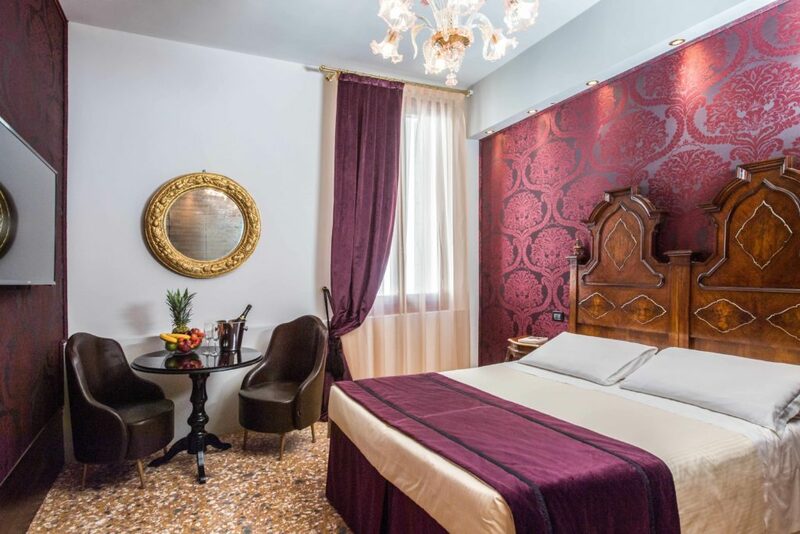 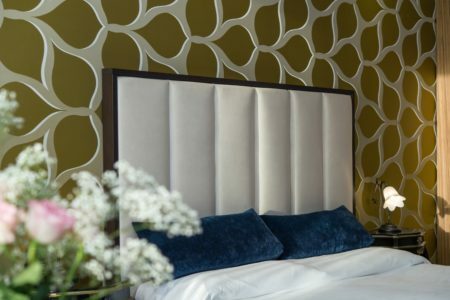 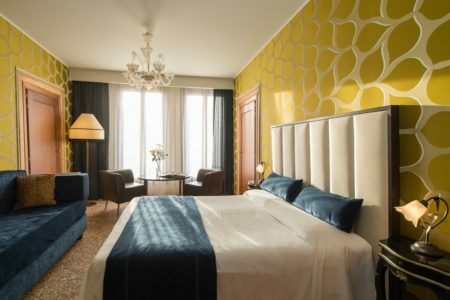 Our Superior rooms are comfortable and spacious, furnished with classic-contemporary fornitures, Murano-glass chandeliers and precious wall-fabric. 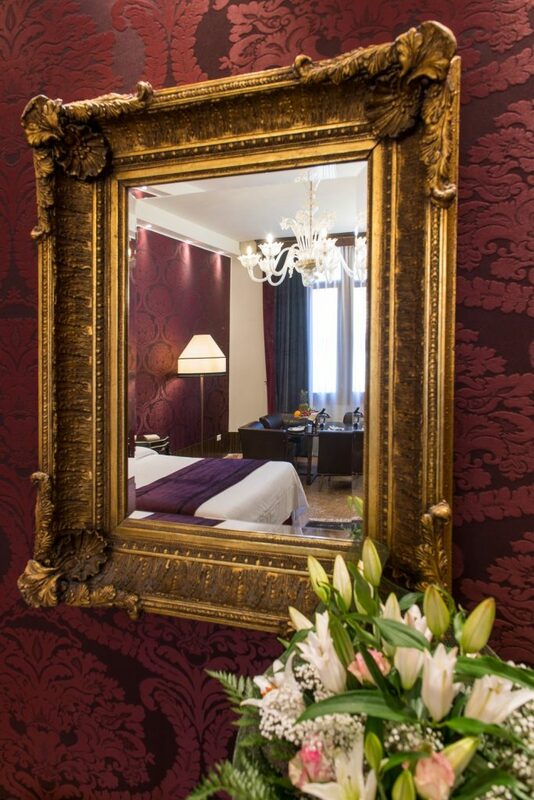 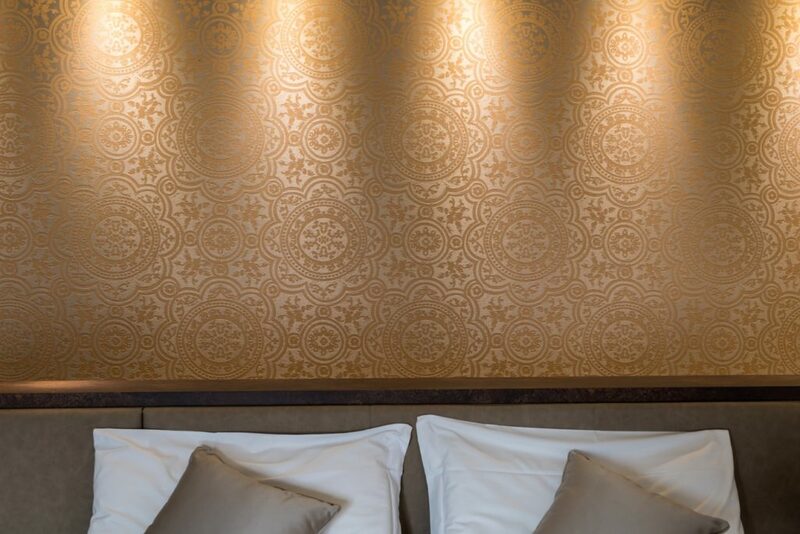 In our Superior rooms you can breath the atmosphere of a typical venetian house.